Excited for Holi arrangements? Well, you must have arranged something for your Smartphone too! The festival of colors “Holi” is almost here and so its preparations and celebrations are already started. So guys, excited about enjoying and capturing all the memorable moments? Well good! But what about your phone safety, as it might get damaged with Holi colors and water? 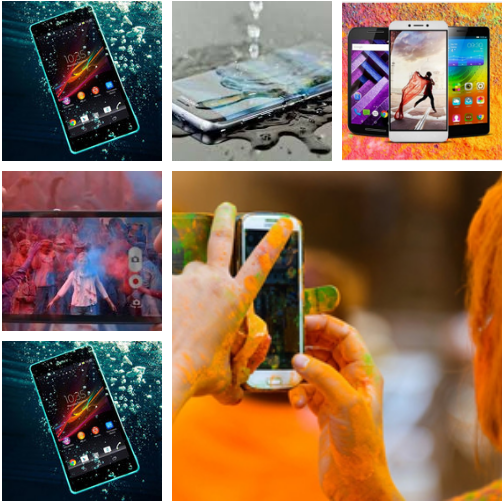 Does your mobile come under waterproof category which can give you a sign of relief? There are international ratings being provided to the Smartphones which can withstand dust and provide resistance to water. The Smartphones with rating IP67 can be submerged up to one meter underwater for half an hour and if the Smartphone is having IP68 rating, then this depth could be 1.5m for the same time. So if your phone comes under this list, then there is a small relief. Other Smartphones like Xiaomi, Oppo, Vivo, Honor, Realme etc. do not come with any rating but in the category of OnePlus’s Smartphones the company claimed that OnePlus 6T smartphone has same water resistance as any Smartphone with IP67 rating, but in actual it doesn’t have any rating. So, if your Smartphone doesn’t hold any water resistance rating, you need to have a little concern about this and take appropriate actions to protect it from any liquid damage. One action is to buy syncNscan Smartphone Protection Plan which provides insurance for liquid damage and accidental damage.